Create a reoccurring monthly pledge. Your monthly partnership donation allows us to continually connect our community with supporting at-risk teens in Tuolumne County. Becoming a monthly partner helps sustain our organization and the longevity of giving hope to at-risk youth. TeenWorks provides many opportunities for students to get involved. Joining a project could be anything from sponsoring an event, group mentoring, a life group, or even camp. Projects play a major role in providing at-risk youth opportunities they might not have otherwise. Your willingness to contribute to TeenWorks mentoring is invaluable. Tell your friends and family about the at-risk youth in your area and how they can get involved. There's no better way to make an impact than to become an active advocate yourself. Join now and make an impact! You shop at Amazon, right? Start shopping at smile.amazon.com instead. Same stores, same products, same everything. 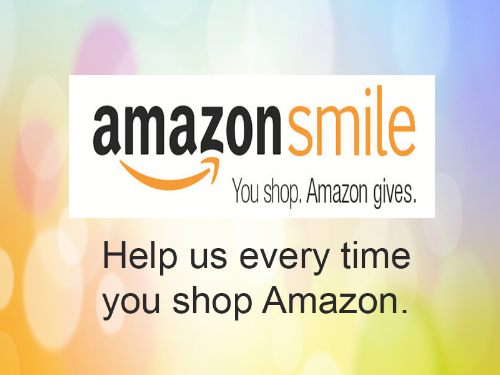 Except Amazon gives TeenWorks a donation every time you buy something on smile.amazon.com. Choose TeenWorks Inc. of Tuolumne County California as your preferred charity. You only have to do that once. There is no cost to TeenWorks or to AmazonSmile customers.